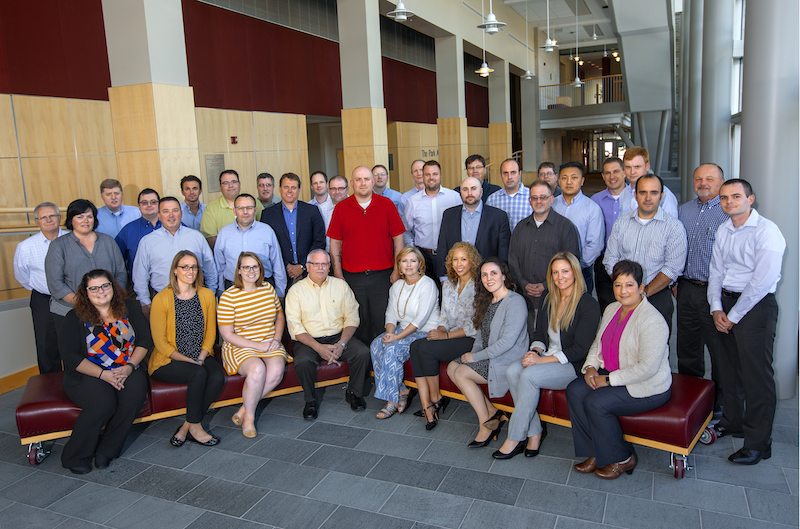 Earlier this month, I had the opportunity to participate in the Executive Leadership Development Program at Cornell University. Unlike the many NGA events I attend, I was there as a participant rather than to facilitate the program as a member of NGA’s staff, and went through the same nomination process as other attendees. I work on the Government Relations team for NGA and did not have a lot of familiarity with the ins and outs of the program, and was incredibly pleased with every aspect of it once I arrived at Cornell. Bill Drake and Elena Malovik of Cornell were fantastic, and shepherded all of the participants through each detail of the program with ease. Along with excellent presentations from Ivy League professors focusing on different aspects of leadership was a FIRO-B self-assessment test and a 360 degree review. Both of these tools allowed for a deeper dive into your individual leadership style. Each participant received all of the materials from the tests, as well as had the opportunity for a one-on-one feedback session with a trained facilitator to help participants have a better understanding of the feedback we all received from our coworkers and supervisors. Overall, I was incredibly pleased with my experience at ELDP. The level of instruction and the content discussed with applicable to anyone who wants to work to grow within their organization, while maintaining a focus on working within the independent supermarket industry. If anyone is thinking about attending the program next year I’d be happy to talk about my experience there. Please email me at mlyons@nationalgrocers.org with questions! 2016 ELDP graduates pictured above: Mike, Schumacher, Always Fresh, Inc. (wholly-owned subsidiary of AWG), Christopher, Kennedy, Associated Grocers, Inc., Nicholas, Millet, Associated Grocers, Inc., John Stangroom, Charley Family Shop N Save, Ryan Rothwell, Coborn’s Inc., Francis Audette, Coborn’s Inc., Dan Schelp, Dierbergs Markets, David LeClercq, Harps Food Stores, Inc., Sam Horton, Harps Food Stores, Inc., Adam Shapiro, Jack’s Foodtown Supermarket, Ralph Flores, Kennie’s Market, Steve Holloway, K-VA-T Food Stores, Inc. (dba Food City), Mickey Blazer, K-VA-T Food Stores, Inc. (dba Food City), Michael J. Semeriglia, McMenamin Family ShopRite, Tom Hutchison, Merchants Distributors, LLC, Amanda Metcalfe, Metcalfe Markets/Corporate, Maggie Lyons, National Grocers Association, Bryan Neiman, Neiman’s Family Market, Karen Vaughan, Piggly Wiggly Alabama Distributing Co., Inc, Eddie Frye, Piggly Wiggly Alabama Distributing Co., Inc., Joe Amorim, Price Rite Supermarkets, Inc., Kristen McGuire, Price Rite Supermarkets, Inc., Dan Bonomo, Ravitz Family Markets, ShopRite, Kathy Shannon, Roche Bros. Supermarkets, Jessica Hinnenkamp, Roche Bros. Supermarkets, Dale Sosinski, Sendik’s Food Markets, Thomas LaBrum, Stepherson’s Superlo Foods, Greg Oldright, VMC (subsidiary of AWG, Inc.), Michael Criscuolo, Wakefern Food Corp., Craig Hoffman, Wakefern Food Corp., Courtney Harris, Wakefern Food Corp., Raul Del La Piedra, Wakefern Food Corp., Paul Han, Super Global Mart Charlotte, Sarah Daubman, ShopRite Supermarkets, Inc., Lisa Hodgkinson, ShopRite Supermarkets, Inc., Ryan Simmons, ShopRite Supermarkets, Inc.